It is now official. Gor Mahia have parted ways with Brazillian striker Giovani Rodriguez. The player who has been at the centre of controversy between the club’s technical bench and management, has been omitted in the list of players sent to the Kenyan Premier League (KPL) as the deadline for registration closed on Thursday. While Gor Mahia coach Zradvko Logarusic has maintained he wants nothing to do with the player, a section of the club officials have always wanted him to be given a chance. This week, Gor Mahia chairman Ambrose Rachier said Logarusic has been ordered to retain the Brazillian atleast for sometime as he improves on his fitness. Gor have listed six players as those that they have signed for this season. They include Abbey Natty formerly of Muhoroni Youth, Israel Emuge from Kina Young in Uganda, Innocent Mutiso (Mathare United), David Otieno (Western Stima), Zachary Onyango (Coffee Board) and Paul Kiongera (KCB). 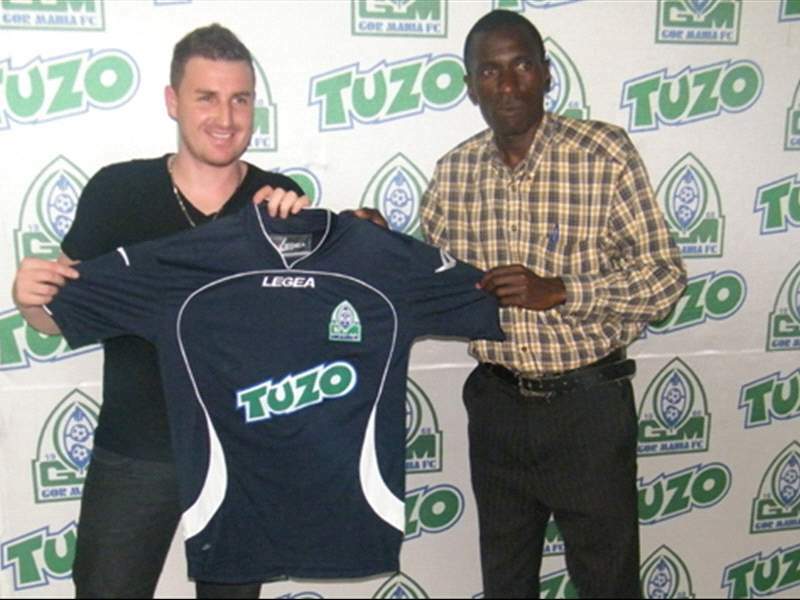 The former KCB man was the most expensive signing and cost Gor Mahia Sh400, 000 though both clubs insist he has been signed on loan. Another expensive signing is AFC Leopards midfielder Patillah Omoto who cost the club Sh400, 000. He is among nine players signed by Leopards who finished third last season. The others are, Martin Musalia, Antony Kimani (Mathare United), Jackson Saleh (Western Stima), Noah Abich (Nakuru All Stars), Obadiah Ndege (Tusker), Noah Wafula (Finlays), Michael Wandera (Kakamega High School) and Bernard Ongoma (Kolongolo). Thika United have brought on board seven new players and former Nairobi City Stars midfielder David Kingatua remains the most expensive acquisition as he cost the club Sh200, 000. The club has also signed Ezekiel Odera (KCB), Shami Mwinyi (Mnarani United), Antony Gicho (Ofafa Jericho), Levis Opiyo (Tetu High), Charles Bruno (Malindi Academy), Adisa Omar (Bidco United) and Sammy Meja (Kakamega High). Other signings and previous clubs in brackets: Mathare United:David Ojwang (Chemelil), Ebrahim Omega (Muhoroni Youth), Kevin Ochieng (Gor Mahia), Emmanuel Tostao (AFC Leopards),Joseph Ruto (Mahakama), Francis Oduor (Bandari), David Mwangi (Karuturi), Edger Ochieng (Sofapaka), Harrison Mwendwa (Indomitable Lions), Fredrick Ochieng (Magongo Rangers), Cornelius Mwangi (Finlays), Hillary Otieno, Meshack Karani , Vincent Likare (Kariobangi Sharks), Elisha Wagude (Nairobi Stima) and Daniel Kiptoo (Flourspar). Tusker:Jesse Were, Kennedy Opiyo, Andrew Tololwa (Mathare United), Moses Arita (Thika United), Jamal Dunga (Sony Sugar), Michael Olunga (Liberty), Mark Odhiambo (Mbotela Kamaliza) and Jeremy Bright (Ligi Ndogo). Homeboyz: Samuel Misee (AFC Leopards), Francis Chinjili, Mike Khaduli (Western Stima), Wellingtone Murwayi, Griffin Amalala, George Amayo, Kelpas Barasa, John Wawu (Oserian), Gregory Nyapala, Elly Omamo (Muhoroni Youth), Andrew Kulecho (Thika United) and Paul Odhiambo (Rangers). Ulinzi: Cylus Shitote (Sony) and Elvis Nandwa (Mathare United). Sofapaka: Enock Agwanda (Sony), Charles Ouma, Salim Abdalla (Ligi Ndogo), Titus Mulama (Nakuru All Stars), Obadiah Tanumbwa (Cyprus), Collins Kisuya (Beerschot), Patric Kagogo (Tusker) and Hillary Echesa (Malaysia). Bandari: Abud Omar (Admiral), Ali Bai, Alloyse Mangi (Western Stima), Mike Simiyu (Sony), Ali Mwinyi (Muhoroni Youth), Fredrick Ajwang (Tusker), Athman Buki (Mathare United) and Abdulatif Omar (Sofapaka). KCB: Geoffrey Muhando (Thika United), Kaleb Wafula (Talanta), Kevin Kegan (Admiral) and Tyrus Omondi (Mathare United).Chemelil: John Onami (Sofapaka), Geoffrey Maina (KCB), Steven Ouma, James Macharia (Oserian) and Jafeth Wamunga (Kolongolo). Western Stima: Edwin Mudibo (KRA), Francis Ocholla (KRA), Yusuf Siruma, Mustafa Ogutu (Karuturi Sports), Duncun Makori (KCB) and Nicholas Akoko (Muhoroni). Nairobi City Stars: Jimmy Bagaye, Simon Lusaka (AFC Leopards), Eric Muranda (Rangers), Oscar Mbugua (Gor Mahia ) and Dennis Okoth (Sony). Sony: Wycliff Kasaya (Gor), David Makumbi (Tusker), Ben Barasa (Oserian), John Keo (Oserian), Charles Odette, Isaac Otieno (Tusker) and Francis Ouma (Mathare United). Muhoroni: Geoffrey Simiyu (Sony), Frankline Osama (Oserian), Peter Okore (Agrochemical), Enos Ochieng (Shauri Yako) and Kevin Omondi (ZOOFC ).